Veils are yet another customizable detail of an endlessly customizable wedding. 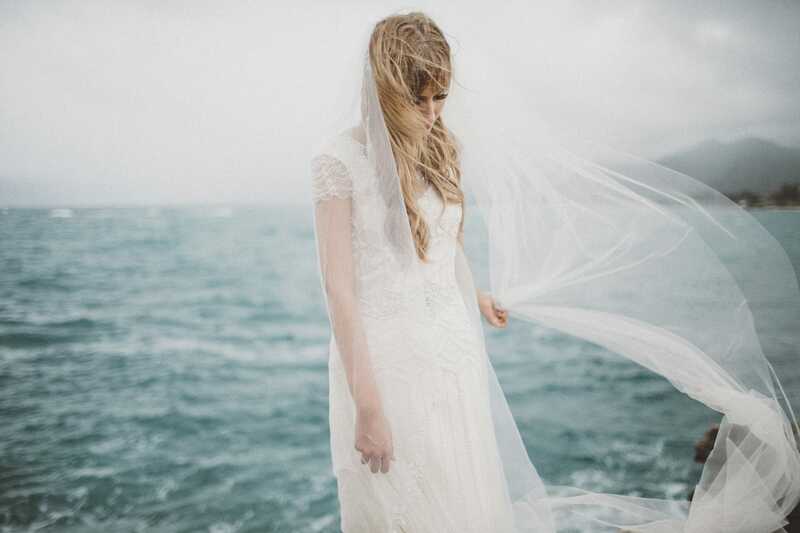 The right veil can give your vintage wedding dress an air of romance, add intrigue and glamour to your simple satin gown, or complete the drama of a tiered fit-and-flare. 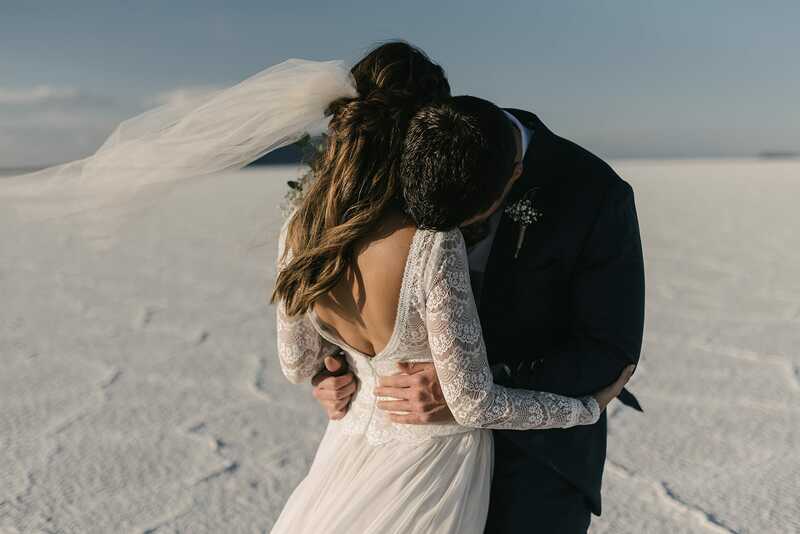 Browse our perfect bridal veil guide below to find your favorite, from delicate dotted headpieces to show-stopping complements to your cathedral-length train. Flyaway: The flyaway style also just brushes the shoulders, but features multiple layers of tulle for volume and movement. 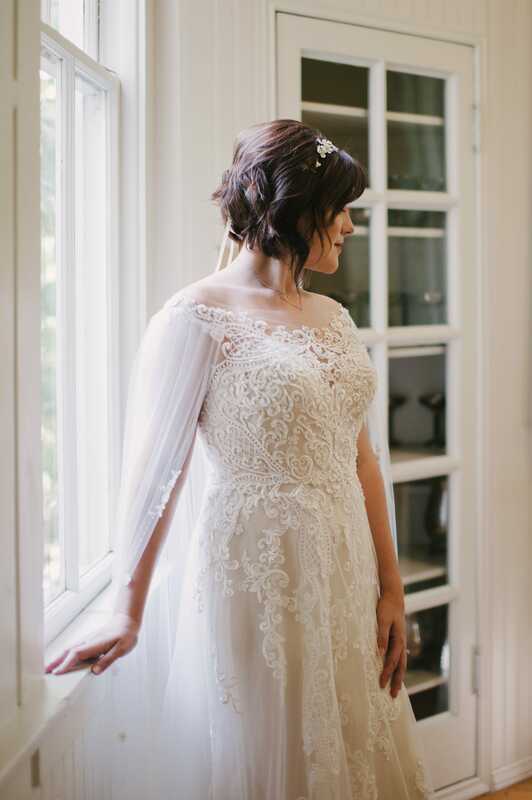 This length is ideal for brides with oval or oblong face shapes. Elbow: Elbow-length veils are romantic and traditional, but are still short enough to avoid the irksome-ness of a full-length veil. This style looks exquisite with a strapless sweetheart gown or simple satin wedding dress. Consider adding face-framing tiers of tulle if you have a square or round face. 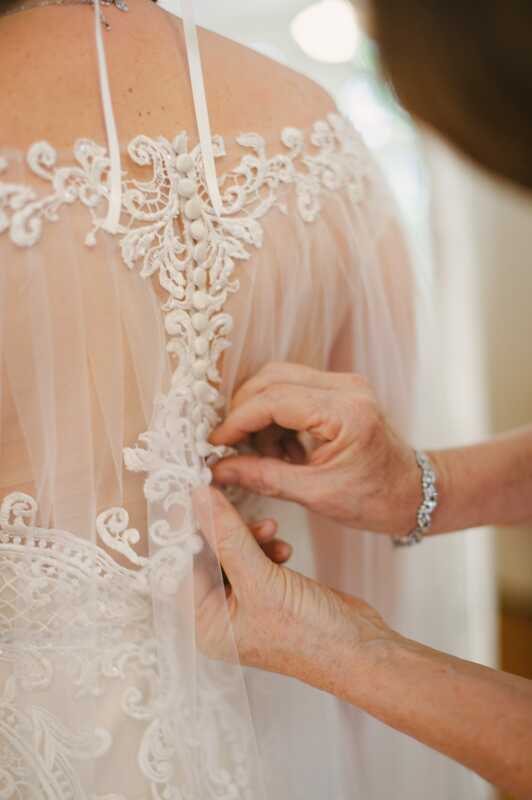 Fingertip: The most popular veil length, the fingertip-length veil flatters most brides and wedding dresses, even those with statement-making backs. 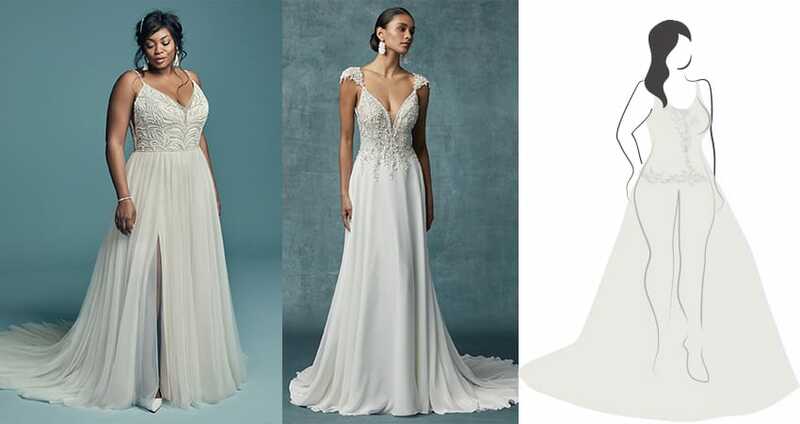 (The sheer fabric of the veil adds a touch of intrigue while still showcasing your open back or illusion lace detailing.) 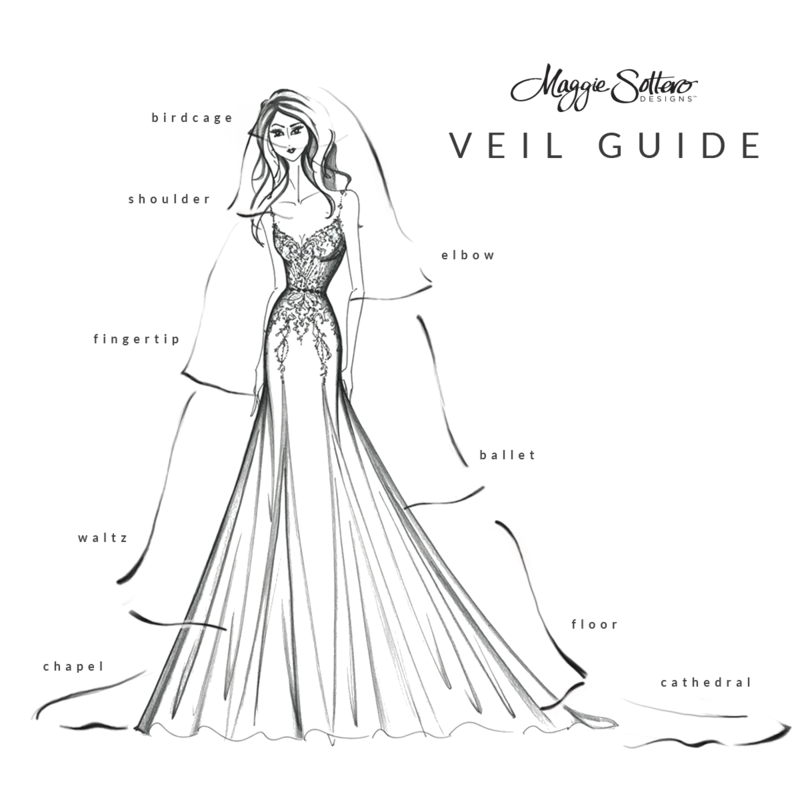 This is a great veil pairing for fit-and-flare gowns, where the volume of the skirt begins between the hip and the knee. 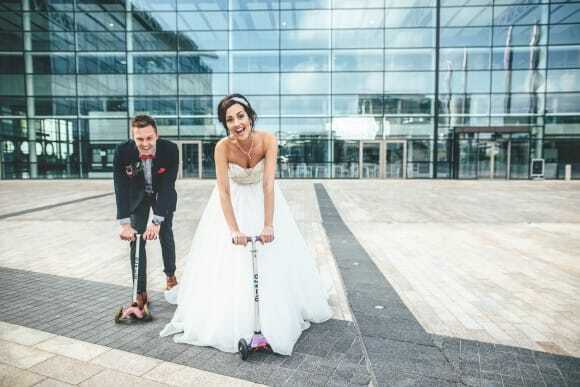 Ballet: Want to wear your veil for the after-party and reception? 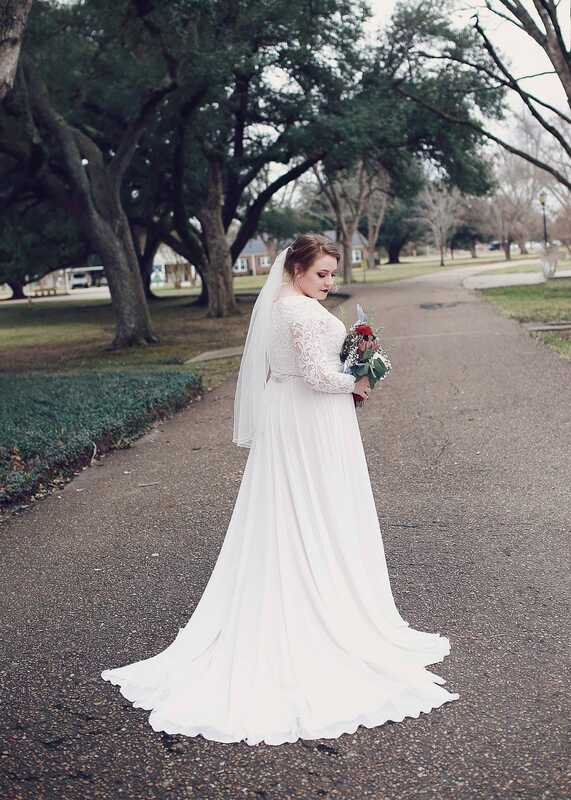 Choose a ballet-length veil or shorter. 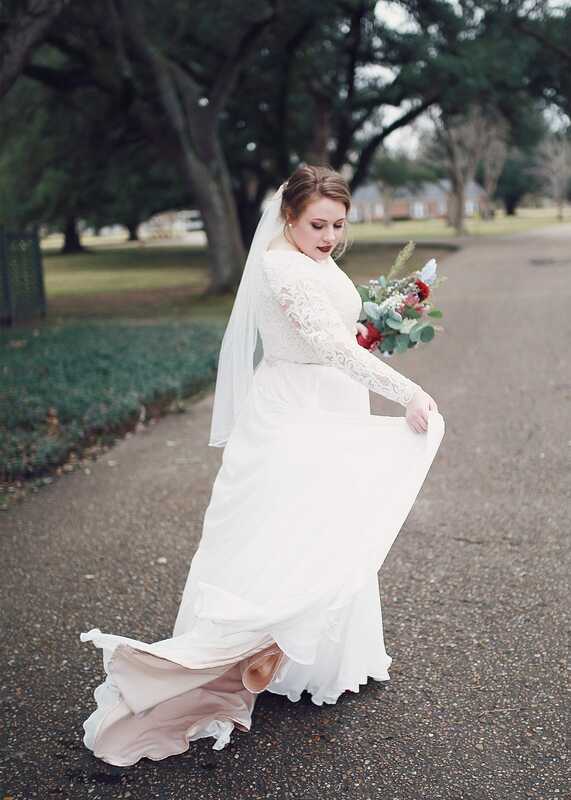 This style hits mid-calf, perfect for the bride looking to dance through the night. 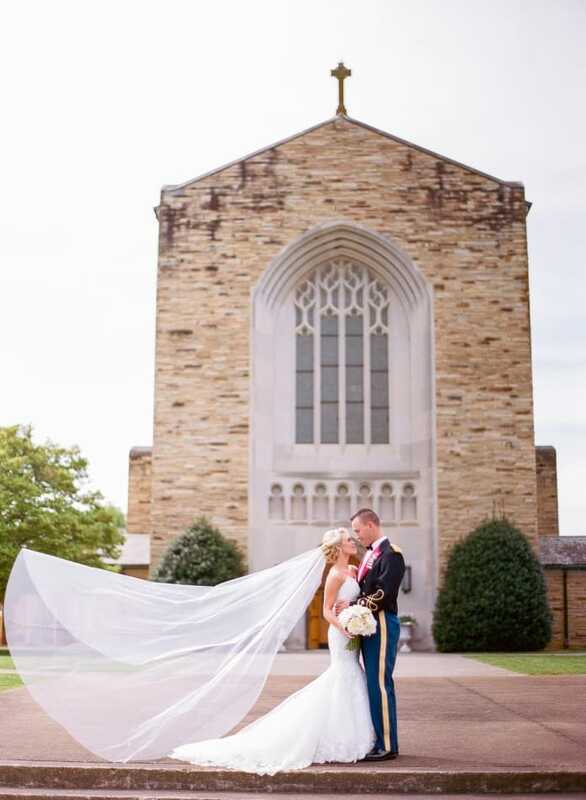 Chapel: Create the illusion of a train with a chapel-length veil that extends just beyond your gown’s hemline. This style also adds drama to slim silhouettes, such as subtle fit-and-flares or sheath gowns. We’re all about the drama and romance of a veil; this timeless bridal accessory looks great in wedding photos and adds perfect intrigue to your bridal look. Be sure to check out our post on vintage veils for more inspiration, or send us pictures of your own veiled intentions!